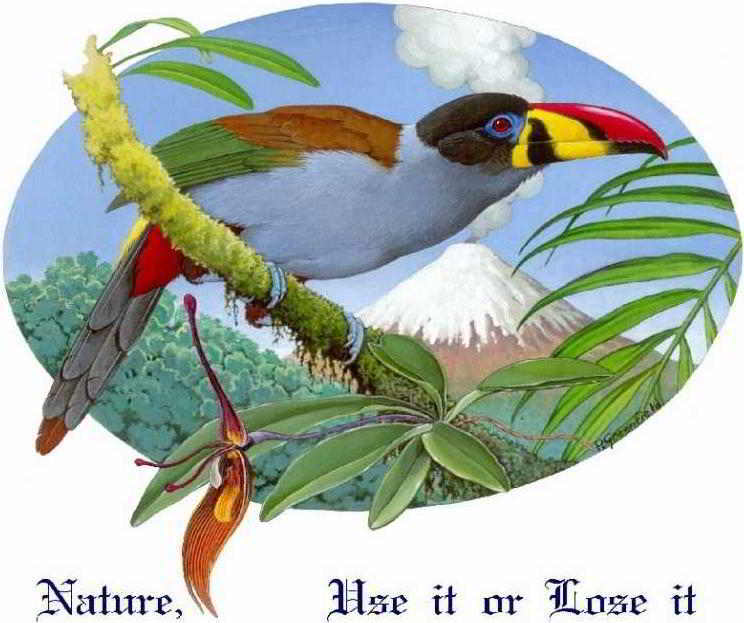 With a territory of 276,841 km2, Ecuador is about the size of Colorado, USA, and about half the size of France. Compared to many other countries in South America, that is relatively small and as a result, most distances can be travelled by bus within a day's ride. Buses are inexpensive and the the more upscale services are rather comfortable. Daily flights are available to all major cities. Many cities can be traveled by plane in about 30-45 minute daily flights. This page gives you some interesting information about a variety of facts about Ecuador, its culture and principal products. 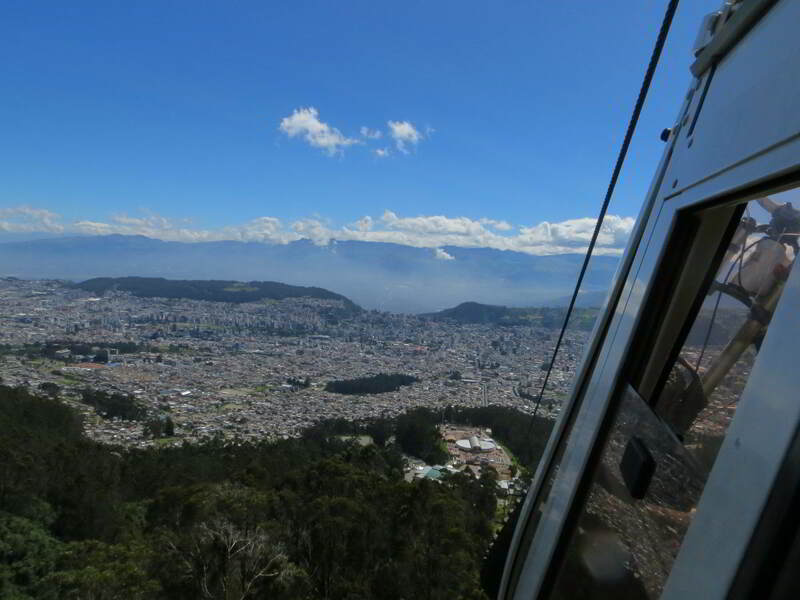 Being the second largest city of the after Ecuador's harbor Guyaquil, Quito is the main hub for travelling within the country, both by air and by bus. 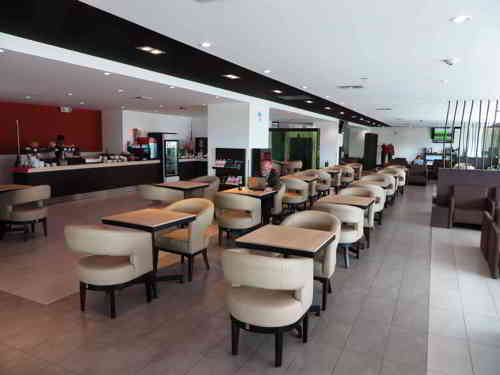 Quito Mariscal Sucre Airport services most major cities and provincial towns on a daily bases. Continental Ecuador is divided into three very distinct zones, the coastal lowlands, the Andean mountains and the eastern Amazon lowlands. As the earth is somewhat wider at the equator, the distance from the center of the planet is a bit greater at the equator than at the poles. Therefore, the Chimborazo with 6,267 m above sea level, is further away from the center of the earth than the world's highest peak above sea-level, Mount Everest. The Andes Mountain Range is relatively young and characterized by high geological activity, such as frequent earth quakes, thermal springs and lots of active volcanoes. The other geologically active region of Ecuador is formed by the Galapagos Islands. Climatically, Ecuador has 7 different climate regions, with some of the world's highest rainfall along the North-western and all of the Eastern Andes slopes to semi arid along the southern lowlands and temperatures varying between tropically hot along the coast and in the Amazon to permanently cold on the snow-capped mountains. 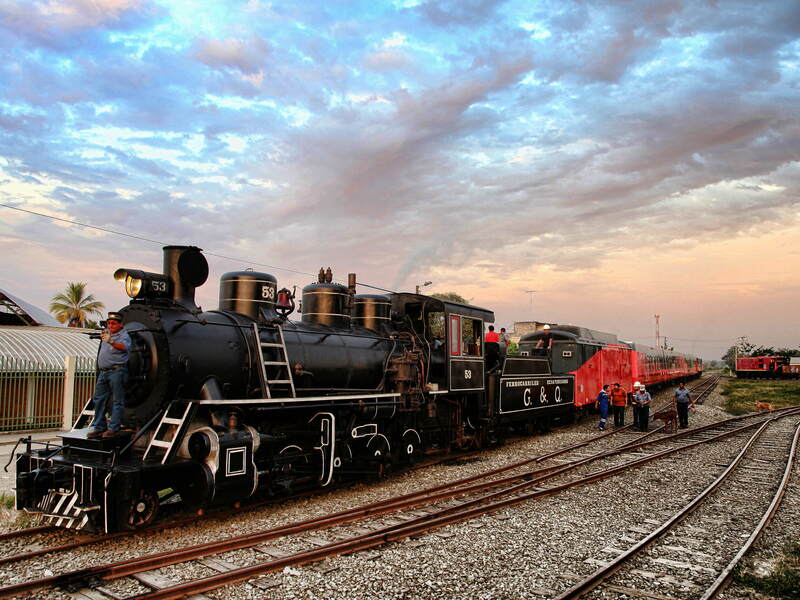 The Central valley of the Andes is particularly comfortable with a permanently spring-like climate. Click here for details on the climate zones and weather. Advanced indigenous cultures flourished in Ecuador long before the area was conquered by the Inca Empire in the 15th century and still about a dozen languages are spoken besides the official Spanish language and the widely spoken Inca language Quichua. 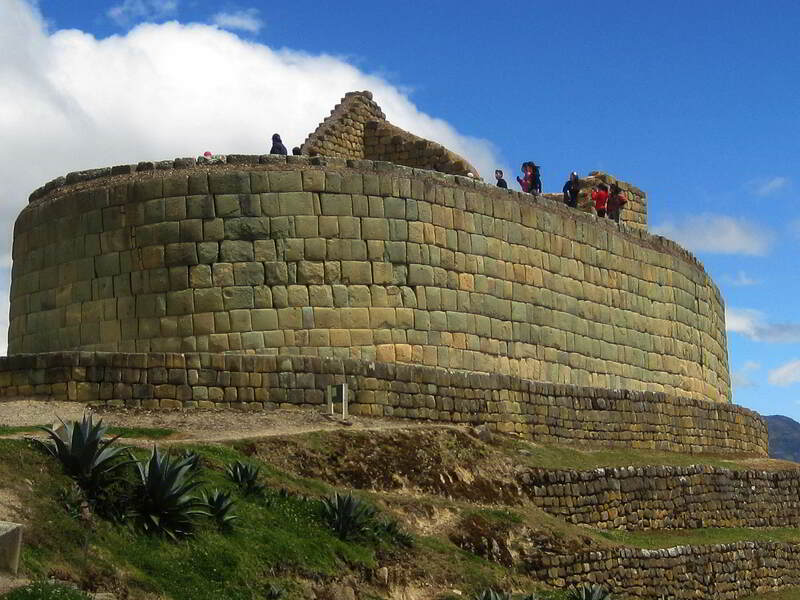 For a brief period of time, Ecuador was part of the Inca empire until the Spanish overthrew Inca rule in 1533. Ingapirca, a World Cultural Heritage Site, is the most northern remaining Inca fortress after most pre-colonial buildings have destroyed by the Spanish. Much of the indigenous population was wiped out by disease brought over with the Spanish conquerors, as well as by cruel treatment as many natives were forced into the "encomienda" labor system for Spanish landlords. In 1563, Quito became the seat of a royal "audiencia" (administrative district) of Spain and formed part of the Viceroyalty of New Granada in 1717, which combined today's Venezuela, Colombia and Ecuador. 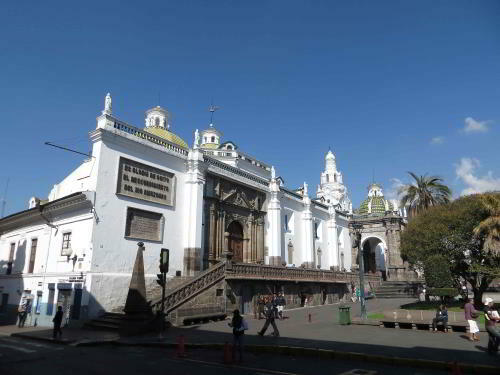 During this period, many great churches were built in Quito. 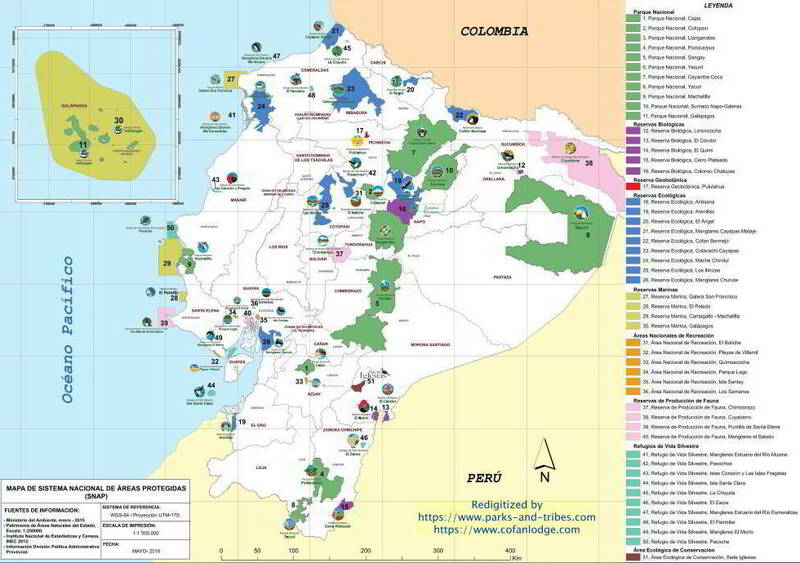 In 1822, the territory declared independence as Gran Colombia. In 1830 Ecuador split off from the federation. 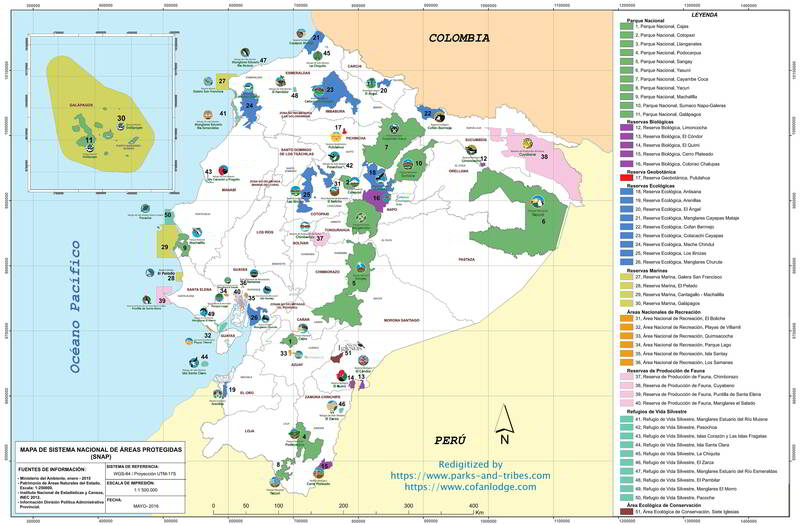 Between 1904 and 1942, Ecuador lost territories in a series of conflicts with its neighbors and several border issues remained in dispute. In 1999 all disputes were resolved after a brief border war with Peru in 1995 had set off negotiations under the guidance of Brazil, Argentina, Chile and the USA. The country now has enjoyed almost 4 decades of democracy, although civil unrest and major protests have led to the ouster of three of Ecuador's last four democratically elected Presidents. Lenin Moreno is the current president. The estimated 2014 population of the country is 16 million, a third of which lives in the two largest cities: capital Quito, with a population of ±2.7 million people and Ecuador's harbor Guyaquil with ±2.8 million inhabitants. The largest ethnic group are Mestizos, (mixed Amerindians and Europians), making up ±72% of the population. ±7% of the population consist of Amerindian, while people of African descent, mainly in the provinces of Imbabura and Esmeraldas, make up ±7% of the population. 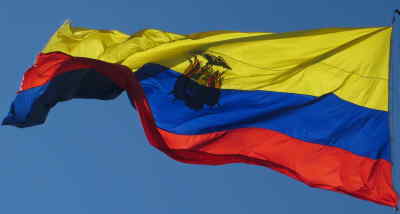 The Caucasians make up ±12.% of Ecuador's population. Population growth is ±1.4%, and has mortality rate ±5 deaths per 1,000 people, among the lowest in the world. Although Ecuadorians originally were traditionally heavily concentrated in the mountainous central Andes valley, nowadays half the population Ecuador lives in the coastal plains. While still mostly rural a few decades ago, 60% of the population now lives in the cities, with Guayaquil 2.6 million and Quito 1.8 million being the largest cities, followed by Santo Domingo and Cuenca with about half a million inhabitants each. 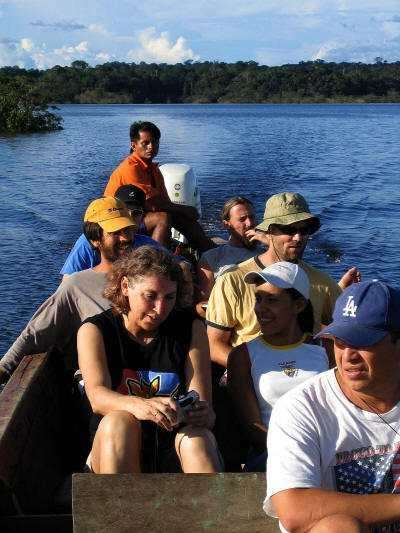 The Amazon region, commonly referred to as the Oriente (East) remains sparsely populated with only about 3% of the population. 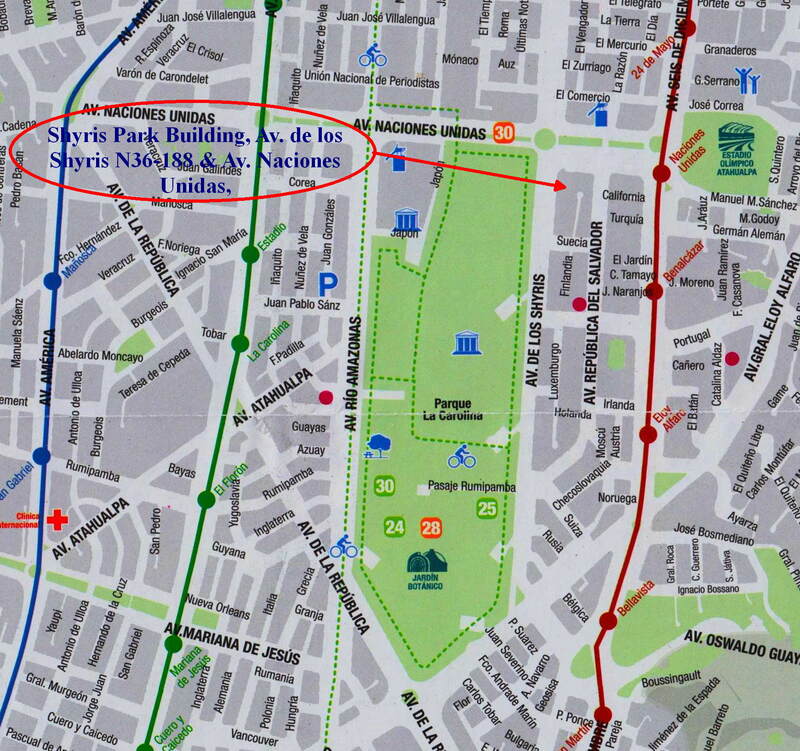 Quito is the capital of Ecuador, providing living space to about 2.7 million inhabitants. Being the smallest OPEC country, the Ecuadorian economy is based on petroleum production, manufacturing primarily for the domestic market, commerce, and agricultural crops for both national consumption and export. Oil exports account for 56% of all export revenues. With an annual export value of $ 2,000,000,000, Ecuador remains its leading position as banana and plantain exporter while being a major player on the world's shrimp market with and annual export value of $828,000,000 and cacao market, worth $402,000,000, flowers and canned fish, each worth $600,000,000, and cars $375,000,000. 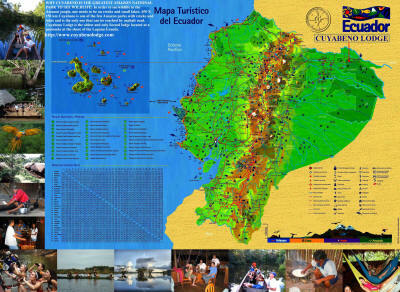 Tourism has been steadily growing given Ecuador's Culture & Tourism Facts. 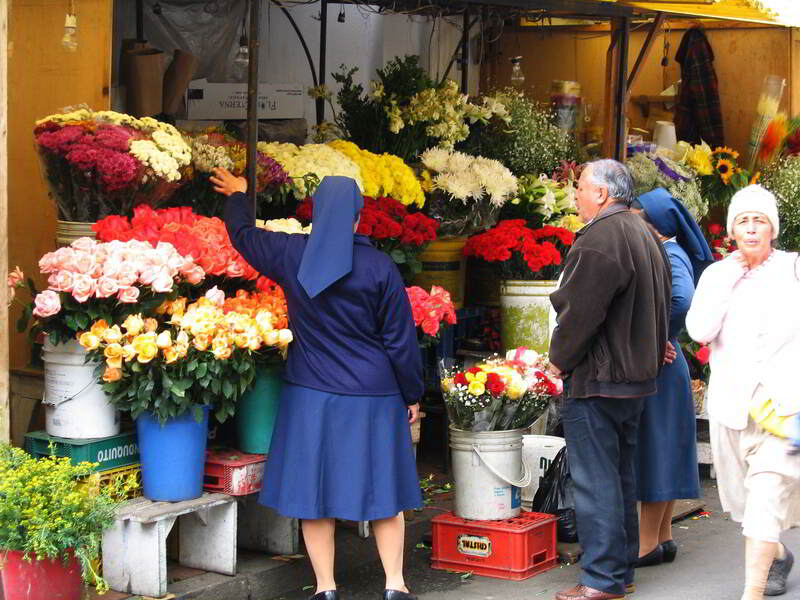 Flowers are an important export product. Colonial Old Town city of Ecuador's capital Quito. 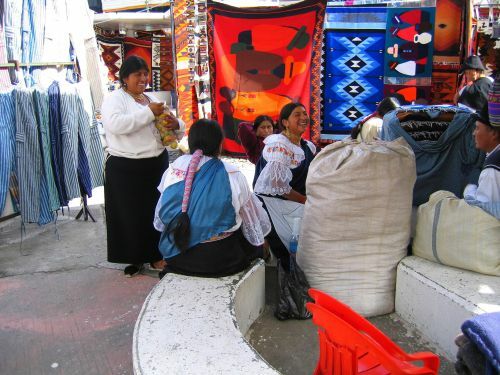 Historical city Otavalo with art market. Ingapirca is a UNESCO World Heritage Site. 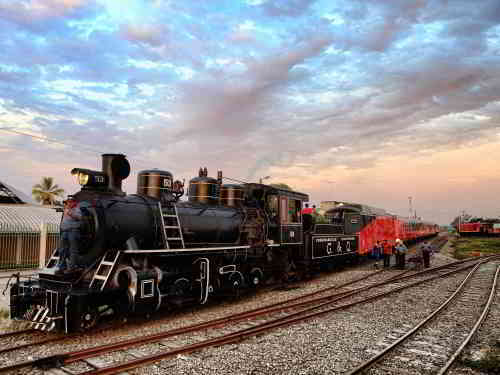 With the totally restored antique train system, Ecuador has not the greatest tourist train system in the Americas! 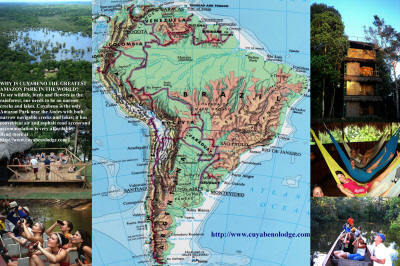 Find out why the Cuyabeno Faunistic Reserve is the best Amazon park in the world. The guides of our Ecuador Amazon rainforest lodge, the Cuyabeno Lodge, are widely known for the knowledge about birds as well as other Amazon Jungle Animals and Amazon Rainforest Plants. 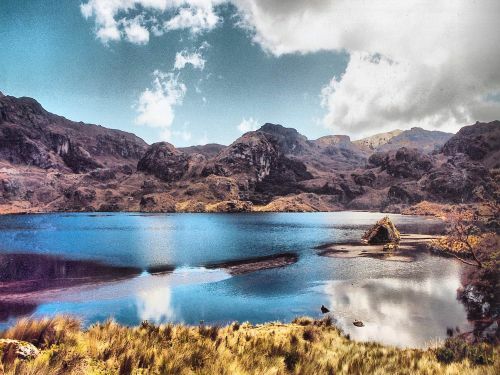 Cajas National Park. Our Andes Trek, Ecuador program includes the best National Parks of Ecuador in the Andes as well as the famous cultural highlights. 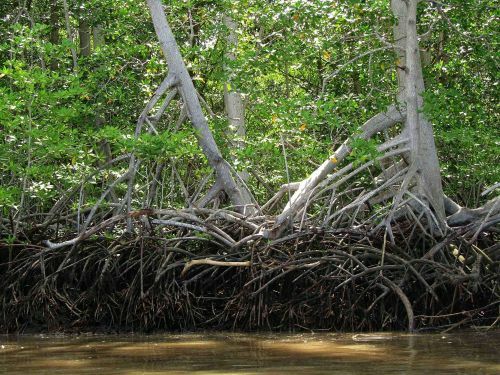 The best Mangrove in Ecuador: Reserva Ecológica Cayapas-Mataje. 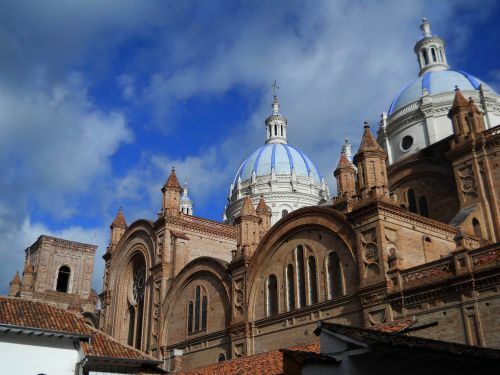 Ecuador is positioned in the northern humid central Andes, as opposed to the Andes South of Ecuador, which are notoriously dry to deserts until the middle of Chili, where temperate and gradual polar conditions are again accompanied with abundant rain and snow. The brand new Quito Mariscal Sucre Airport is the most accessible and most modern airport of all of South America. 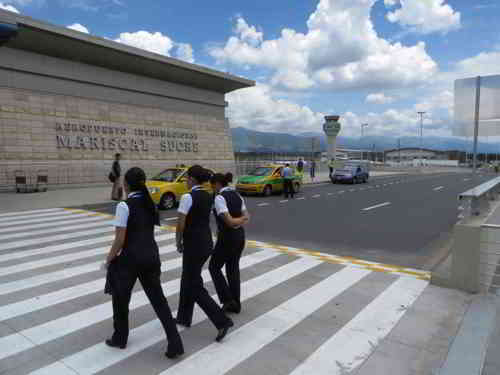 2 brand new 4-lane highways get you in and out of Quito in 30 minutes, which is un-matched by any other national airport in South America. 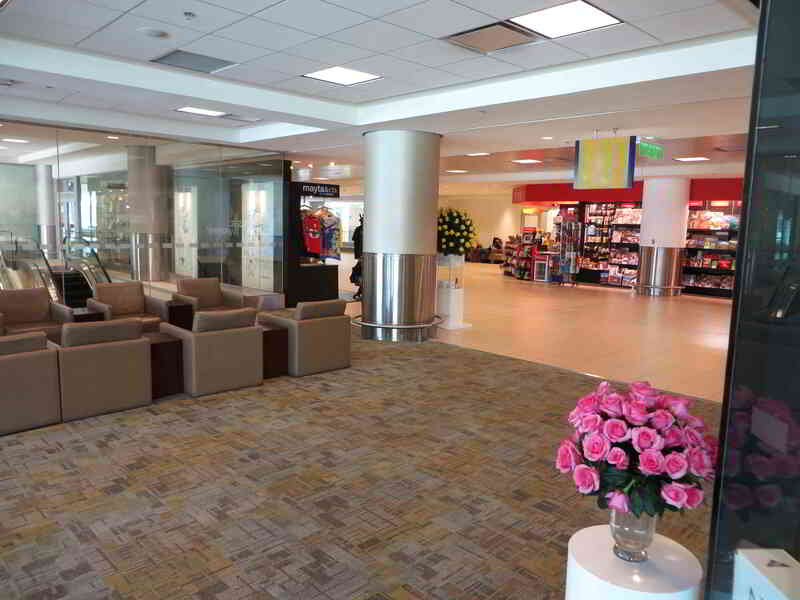 The airport offers access to the newest and largest airplanes and the most modern arrival and departure services. In fact, Ecuador's Tourism & Culture have become the most accessible of all South America. * Rounded up as the precise travel distances depend on the locations of departure and arrival. We organize a variety of daytrips and tours throughout Ecuador: Galapagos National Park, Cuyabeno Amazon visits with the best Cuyabeno Lodge rates, Ecuador Amazon Expeditions, Galapagos National Park Cruises and Ecuador Andes Treks. 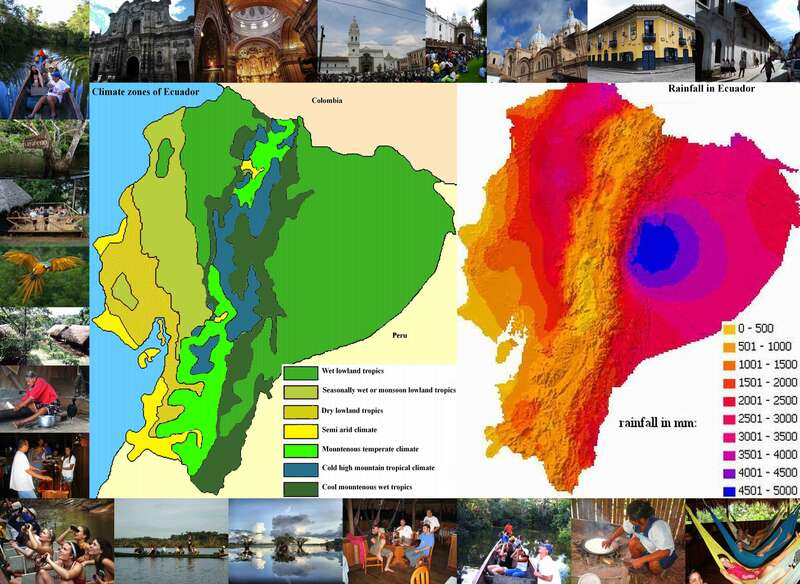 For detailed information on climate and weather conditions read: climate of Cuenca, Ecuador; climate Galapagos Islands in Ecuador; climate in the Amazon of Ecuador and climate of Ecuador. If you want to learn more about the country.